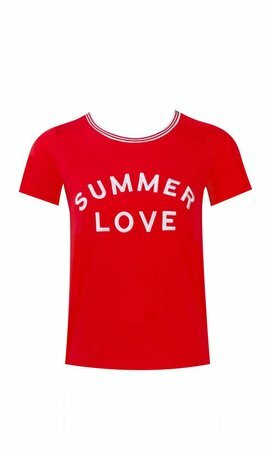 This super cute musthave should not be missing in your wardrobe! 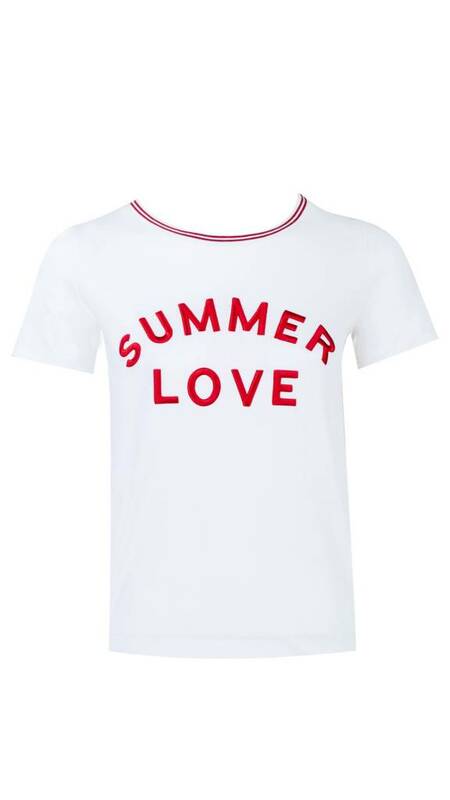 It is a model with a round neck en short sleeves. 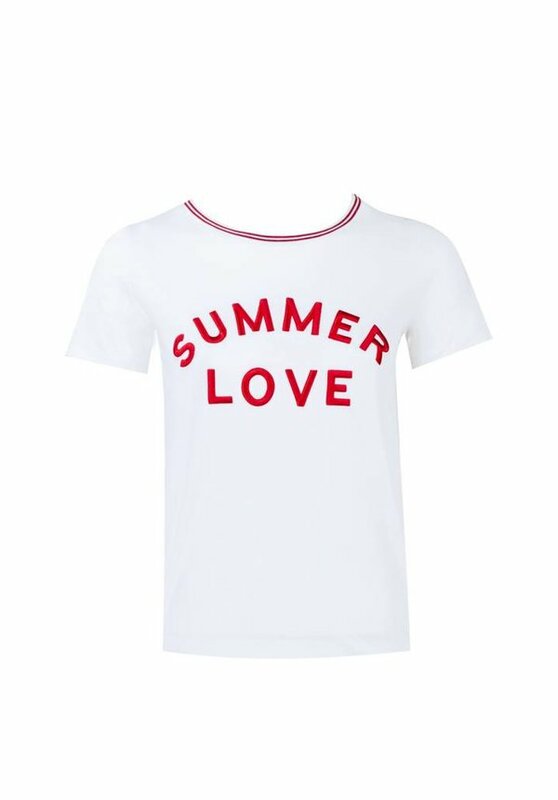 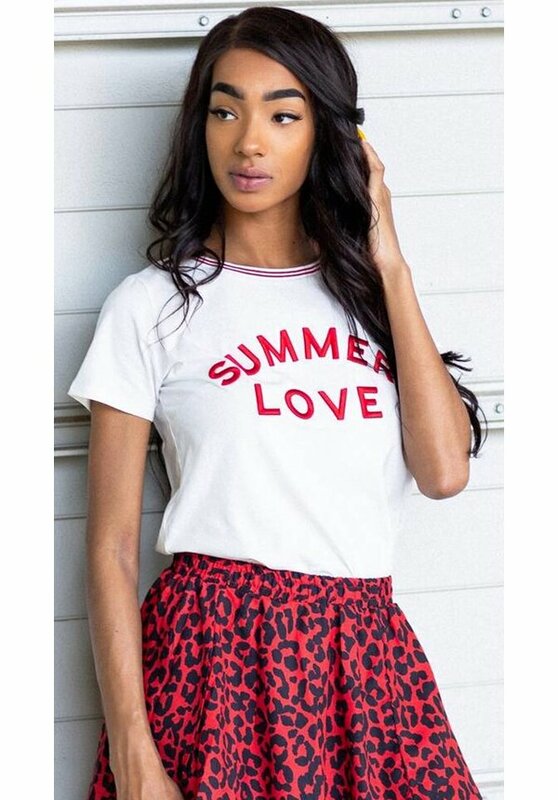 Wear the Summer Love Tee on your favorite skirt or a cute short and your outfit is finished!